Developer Sandbox Interactive has announced the content of the various Starter Packs to access the Albion Online game. The choice of the pack affects both the amount of gold available at the start and the number of days you enjoy the benefits of a premium account. The official website contains the contents of the three packs. So you get 2,000 gold and a 30-day premium time with the almost 30 Euros “Veteran” Starter Pack, while you get the 50 Euros “Epic” Starter Pack, which amounts to 4,500 gold and a 60-day premium status for about Epic Adventurer equipment set and special Epic Adventurer’s Avatar. 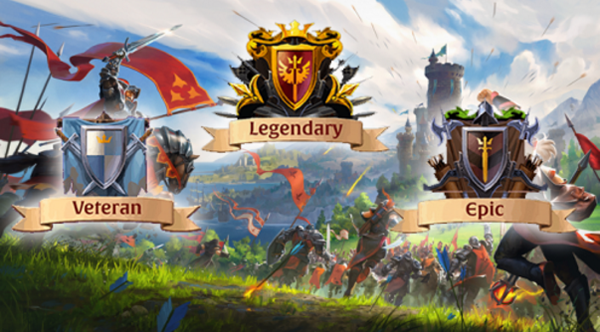 If you invest just under 100 Euros in the “Legendary” Starter Pack, you will get 12,000 gold and 90 premium days with additional Legendary Adventurer’s Equipment and Avatar – plus Horse and Cart for the faster transport and transport of larger loads. There buyers also play earlier: While buyers of the most expensive pack start into the world of Albion as early as 17 July, “Epic” buyers can start a day later and buyers of the most favorable pack only on 19 July. The prices are given in dollars, but the corresponding amounts are due in euros. Anyone who has acquired a Founder Pack in the past will be given the contents of the equivalent Starter Pack at the start. Buyers of a pack can already meet on the test server Mordred to gather the first impressions.